After spending a week battling a fake news epidemic, getting to grips with privacy regulators in Europe and dealing with another admission of misreporting ad data, Facebook finally has some good news to share. In a bid to do more “social good,” Mark Zuckerberg and his team have announced a new round of updates to community tools aimed at keeping users safe and allowing them to help others. First is an update to Facebook’s Safety Check feature, a tool that lets users tell their friends and family they are safe during a natural disaster or a potentially dangerous event. 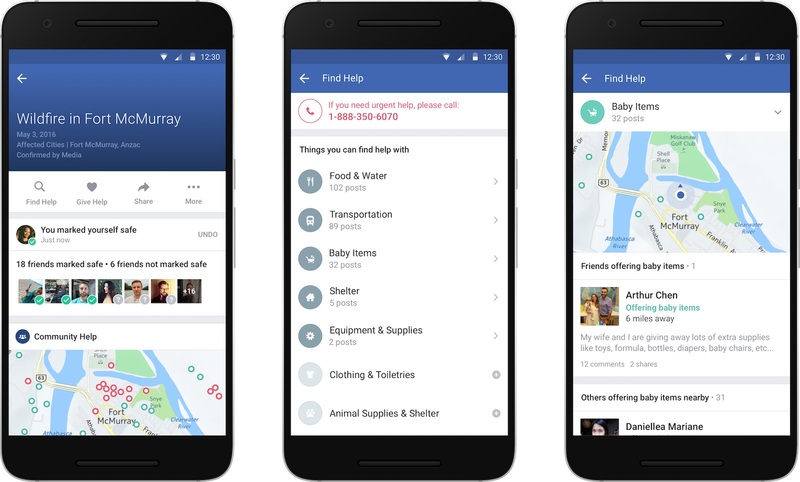 As we reported last week, Facebook has confirmed it’s in the process of creating always-on Safety Check hubs called Community Help, which will let people mark themselves safe, but also offer or request things like shelter, food and supplies. Facebook will also put Safety Check activations in the hands of users, so when a lot of people share news of an incident in a particular area, they may be asked to confirm they are out of harm’s way. Next is a way for non-profit organizations to do more of what they’re good at: raising donations. Facebook says it’s in the process of expanding its Fundraisers tool to more than 750,000 non-profits, which includes the option to add a donate button to Live buttons and posts. If someone is broadcasting their charitable event via Facebook Live, you’ll now be able to donate instead of spreading goodwill via Likes and Heart Reactions. For Movember, the charity drive that gives hairy dudes a valid reason to get hairier, US users will be able to collect donations directly via Facebook. To further promote #GivingTuesday, the company has teamed up with the Bill & Melinda Gates Foundation to contribute up to $1 million to Facebook fundraisers. “The Bill & Melinda Gates Foundation will provide $500,000 in matching funds, up to $1,000 per Facebook fundraiser, and Facebook will waive up to $500,000 of fees on all donations,” says Naomi Gleit, VP of Social Good.